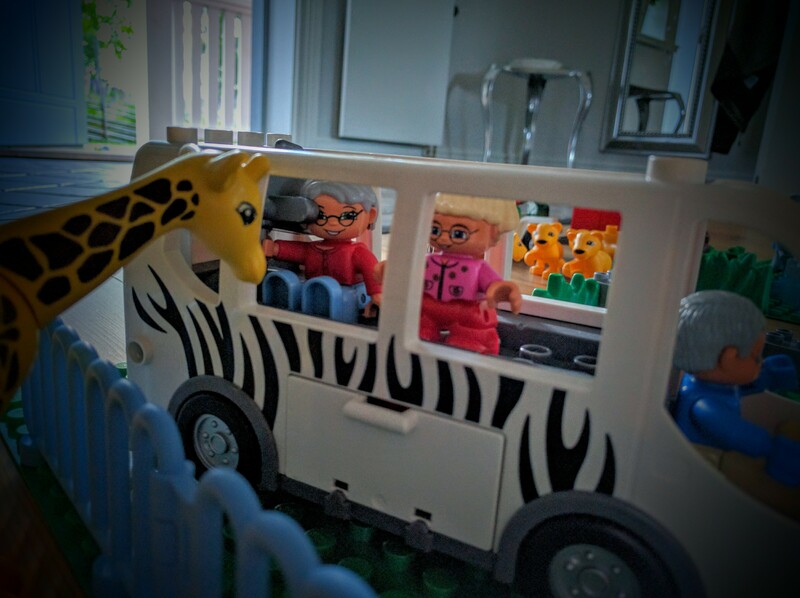 When it comes to creative toys Lego is in my opinion the best of the best. The wooden train sets are more of a interconnect type of play (which develop our children’s sense of the “big picture”, in order to connect the different rail way tracks into a network of tracks and stations the young need to plan and execute). 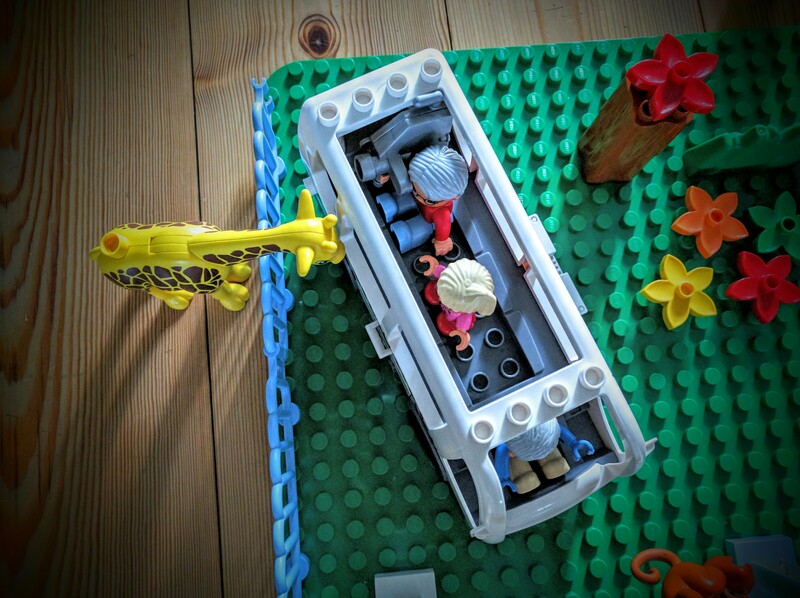 Lego on the other hand is a more freely creative process which allows the children to create pretty much anything from scratch. 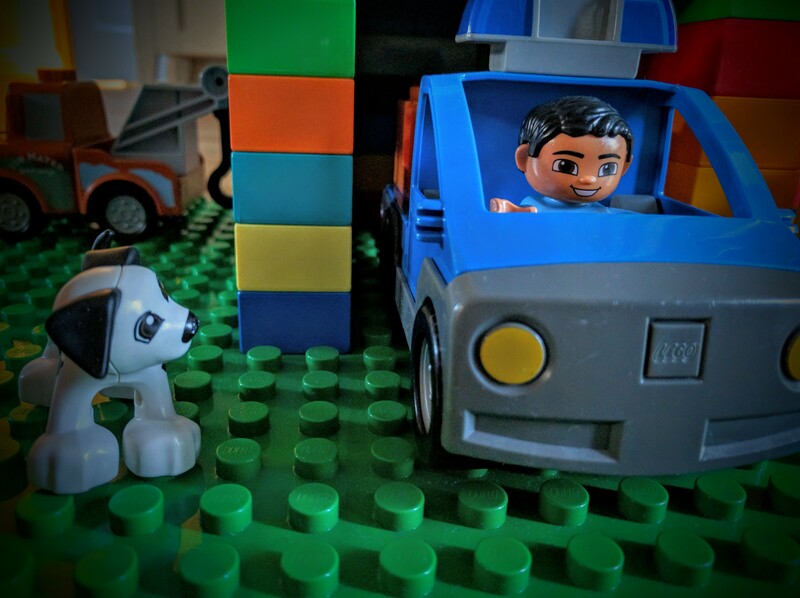 The Duplo brand is a first step into the world of Lego and the company has made the Duplo universe just as varied as the Lego universe – that is aiming more towards children who has reached school age. 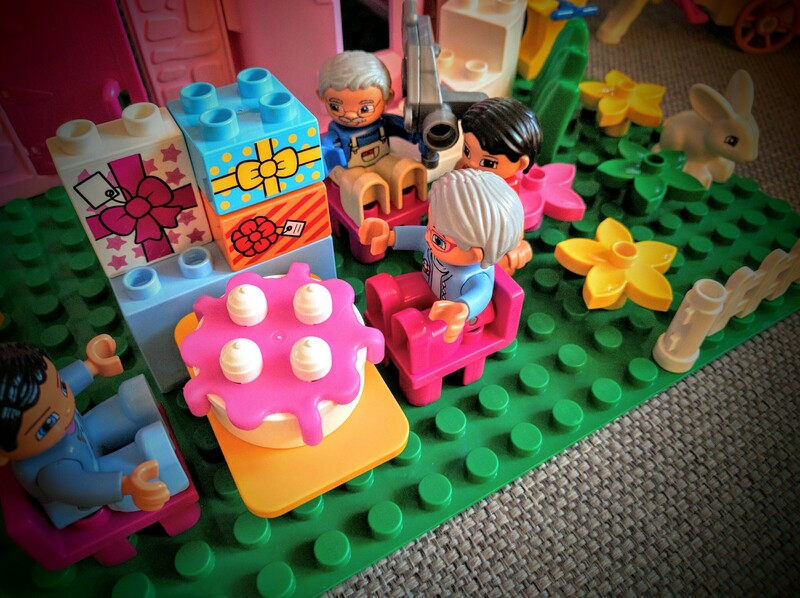 Personally I love the Duplo toys, they are robust and the colors are just amazing. I have never needed to fix any broken parts (except some worn out hinges). That’s a good measure for quality I think! 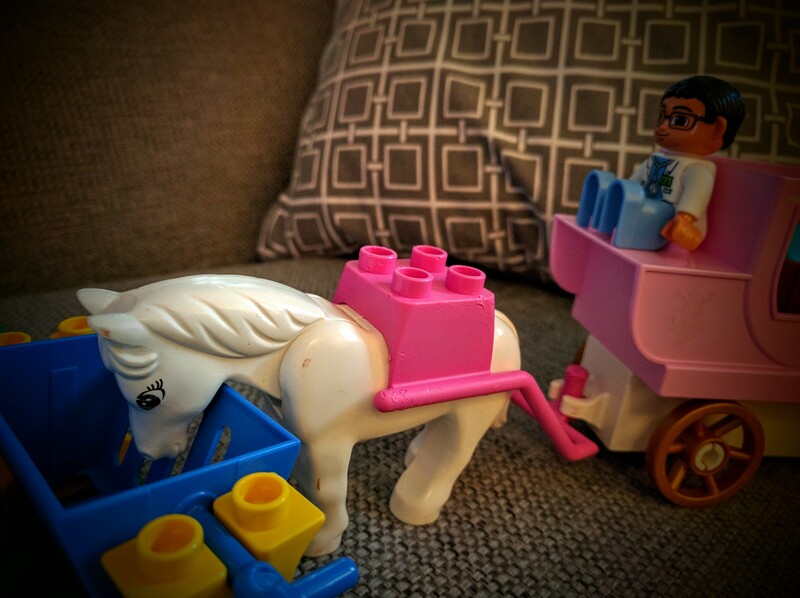 Lego is smart, they have made sure to have everything a young child may possibly want is possible to purchase as Duplo. 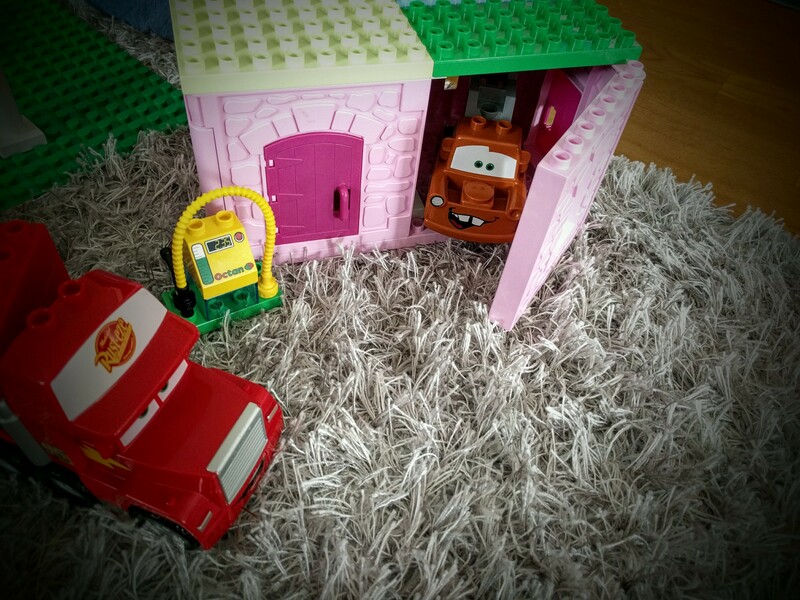 I really like it and whenever my children want a fire engine , a castle , or maybe a helicopter for Christmas I make sure to buy the Duplo version of that particular toy. 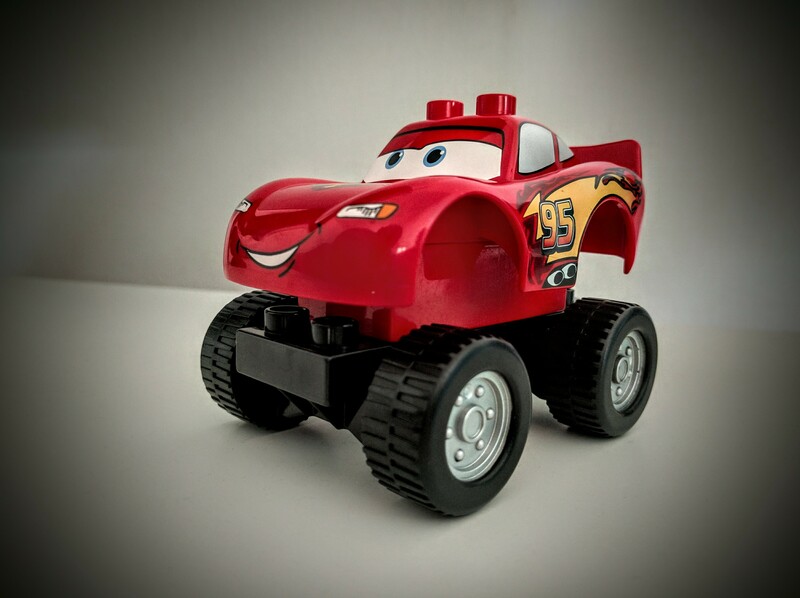 In that way all toys will be of the same form factor, same quality, be possible to fasten to each other, and last a lifetime. 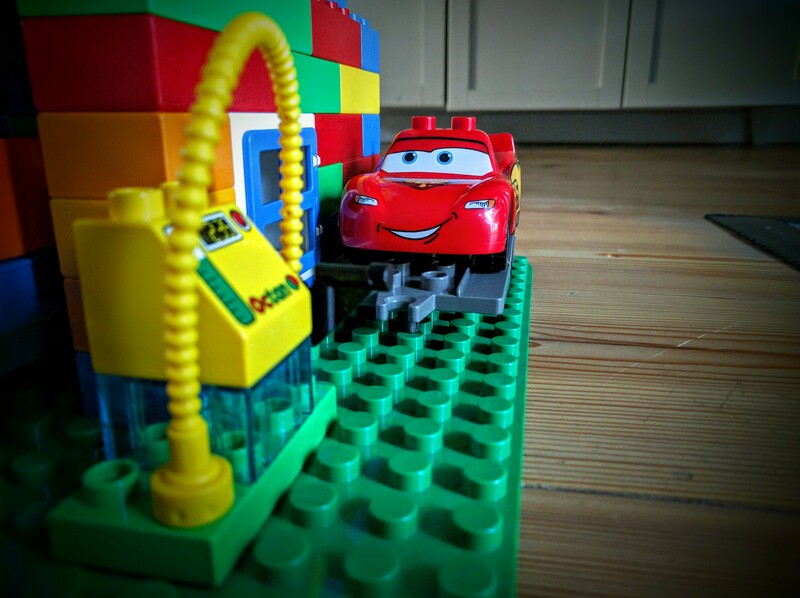 I really cannot see the reason for not doing this, the kids love to be able to connect for example the Lightning McQueen car to the off-road chassis of the Jeep or use the castle front doors as garage doors. The great thing is that this opens up the eyes of the children and they understand that something that was originally meant for purpose A can be used for purpose X. 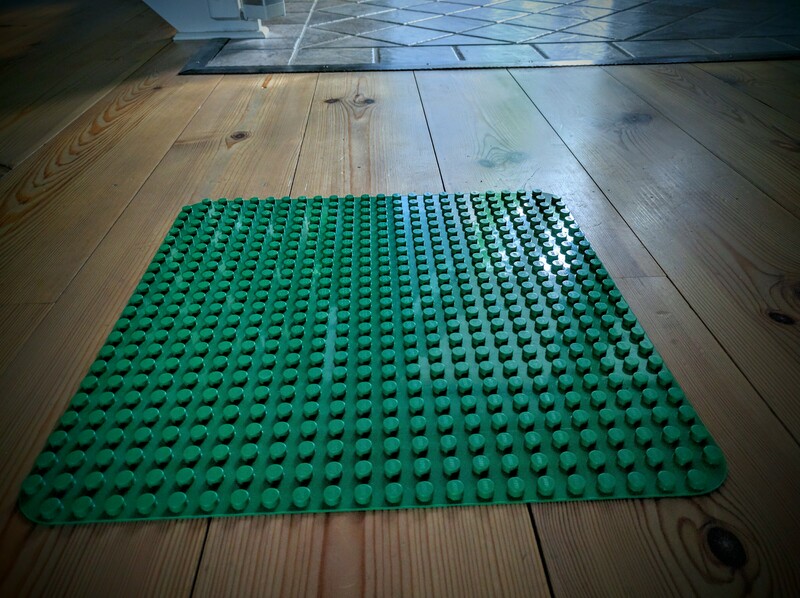 A must have is the baseplate. 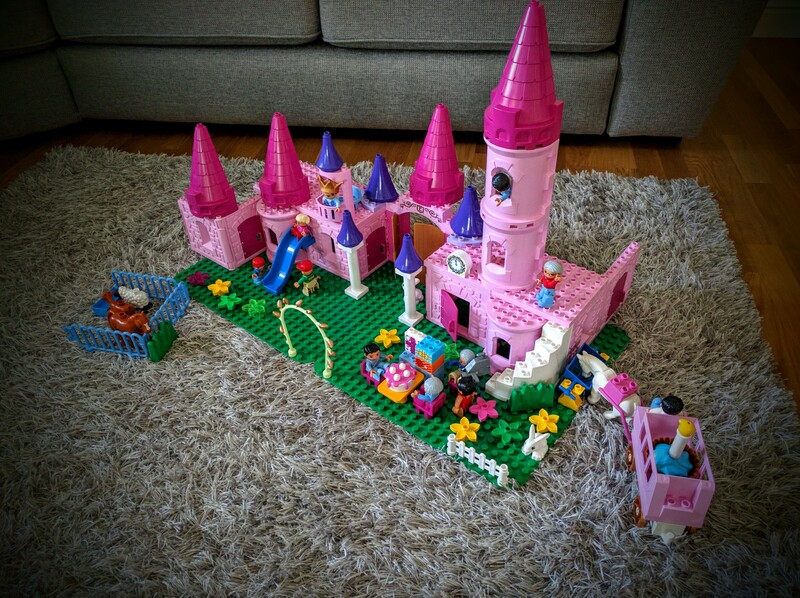 Think of it as your house baseplate, without it it’s really hard to build the structure’s foundation and it will be a lot harder for the children to start building. 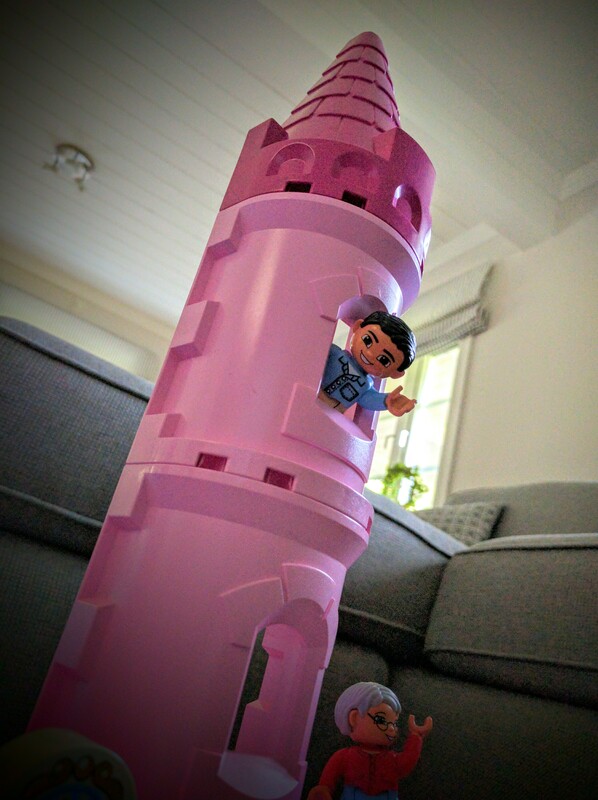 Most of the time my children use it to only build a 2-3 brick high wall and pretend that that’s the complete building and they are not even thinking about building a roof. That would be harder without a baseplate. I’ve seen roll-up ones which seems nice but I decided to go with the original plate . 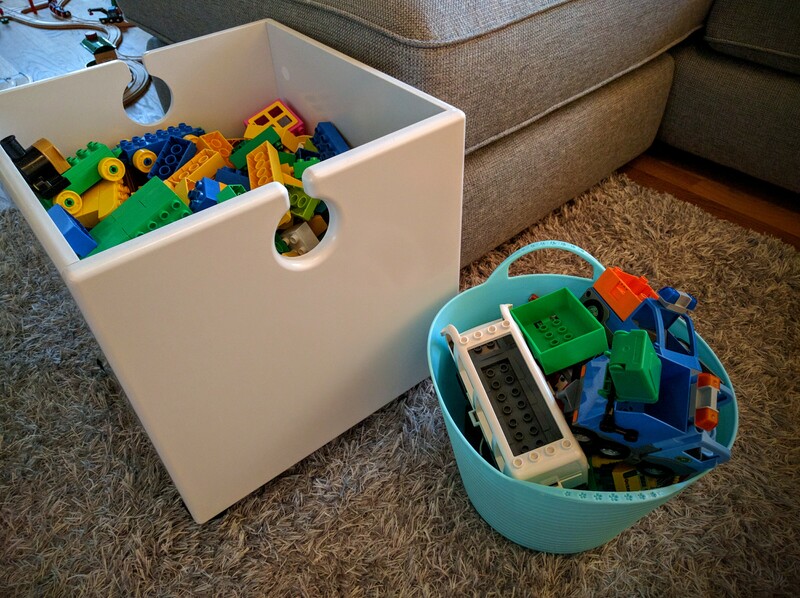 The storage bin seen in the picture is from a Swedish company called LEKA which is now shut down but I really like it a lot, it’s heavy enough for the children NOT to tip it over but the wheels under it make it possible for them to move it around. The size is just perfect and the edges are rounded. 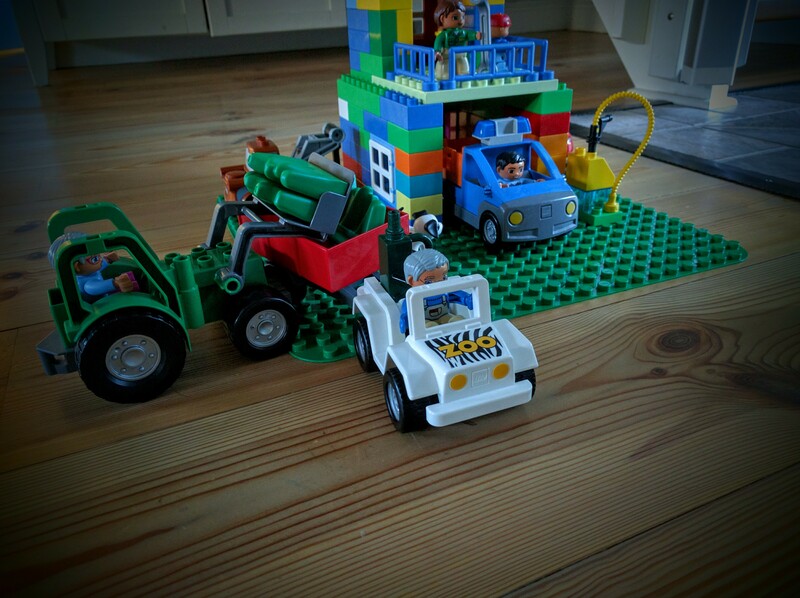 All vehicles are stored in the soft silicone bin because it “drove me nuts” to have to dig up the cars from the bottom of the brick bin “every day”. 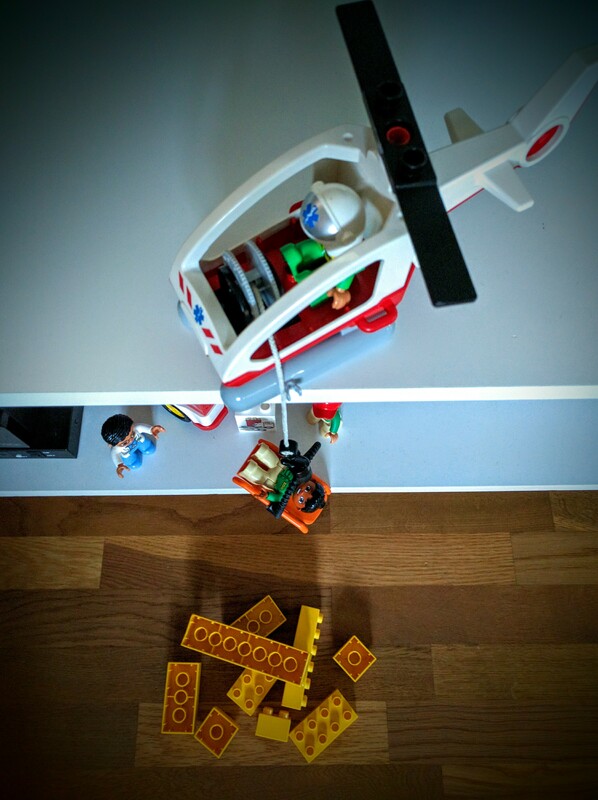 A great thing about Lego bricks in general is that they are easily cleaned and sterilized if they have been played with by a sick child. Just clean those dirty bricks in warm water or in bad cases use alcohol but make sure to clean the bricks with warm water after the alcohol have had effect. 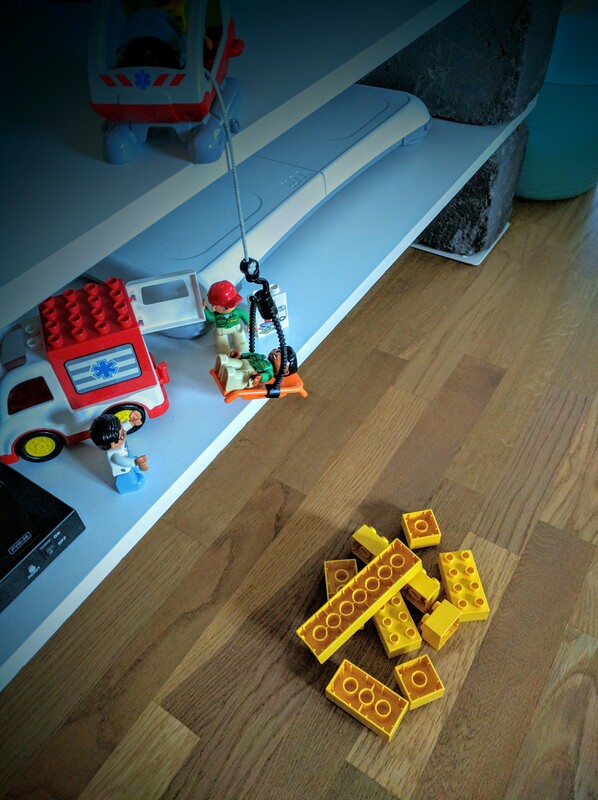 Lego is stating that the Duplo brand is suitable for children aged 2-5 but my youngest kid start playing with it at the age of 1 (but I needed to remove some parts that were too small, much of the disarray of my oldest one). Now that she’s a bit older I have given the small parts back and they are happy to use them once again. 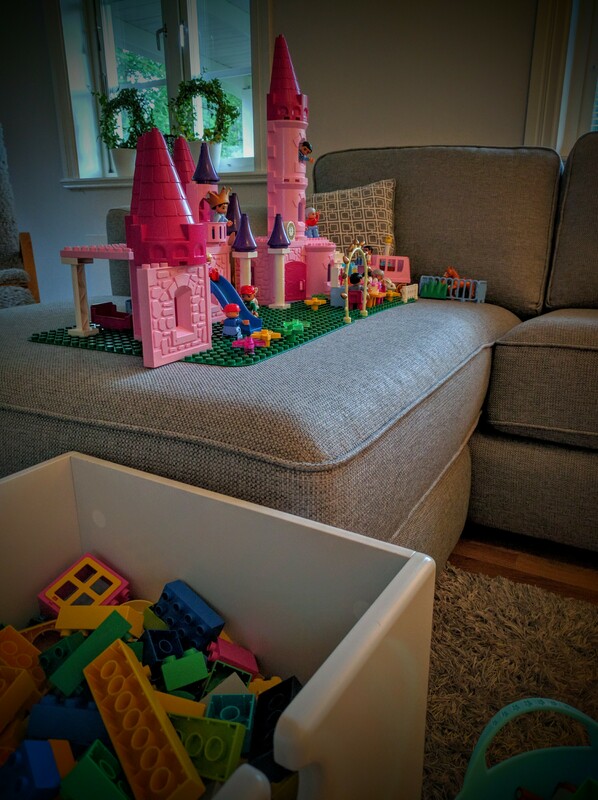 A small parent’s tip is to remove some parts for a couple of month and then surprise your kids with them on a rainy day. Works every time!